The Alps in winter with snow-laden trees, frozen waterfalls, alpine meadows blanketed in white and pretty chocolate box villages nestled in the valleys meandering through the majestic mountains, is arguably a pretty romantic setting! Add to that a fulfilling day of adventure to bond with your loved one and an evening snuggle in front of the flickering, orange light of a log fire…. Here are three suggestions of romantic activities to do with your loved one – guaranteed bonding moments and memories for life! If you are looking for ideas for winter activities to do with your boyfriend or girlfriend then read on! Away from the hubbub of the ski resorts, with snowshoes strapped to your feet, explore the pristine winter wildernesses of the Alps. Walk together through the awe-inspiring beauty of the mountains with the winter sun sparkling off the snow crystals all around you, making tracks through the virgin snow alongside the deer, chamois, ibex, wolves and other wildlife sharing your path. If ever there was a poignant hand holding and mutual appreciation moment – this is one! 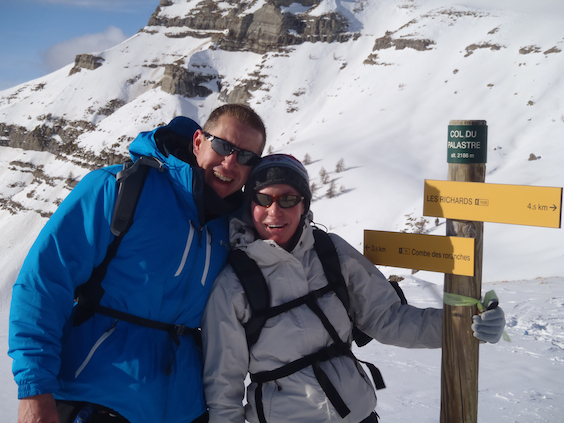 A snowshoeing trip in the Alps is accessible for all ages and abilities so really is the perfect holiday for a romantic getaway. Getting the adrenalin flowing and pushing your boundaries together with someone you love is guaranteed to be an intense bonding moment. Ice climbing is a fun and challenging activity with a roller coaster of emotions: the satisfaction of a good ice axe placement, the fear of falling, the endorphins of physical exertion, the power of self belief and determination, the aesthetic pleasure of your surroundings, the privilege of being in an otherwise inaccessible part of nature, an awe of the fragility and temporary status of the ice. … the list goes on. 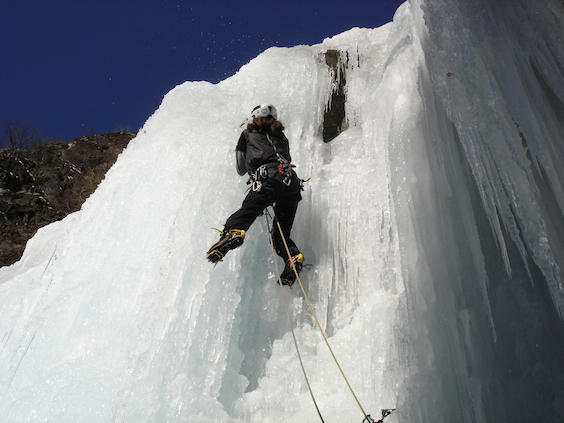 As you tackle the dramatic ice formations with your ice axe and crampons, acutely aware that your partner is holding the other end of the rope (under supervision of course), an appreciation of your mutual trust and the sharing of personal intimate emotions is fortified. In Orcieres 1850, high up on the Rocherousse plateau at 2200m there is a professionally built igloo village built every year where you can experience a night under the winter stars eskimo style! For added adventure with your loved one, you can also build your own igloo for the night and share the results of your creativity together. 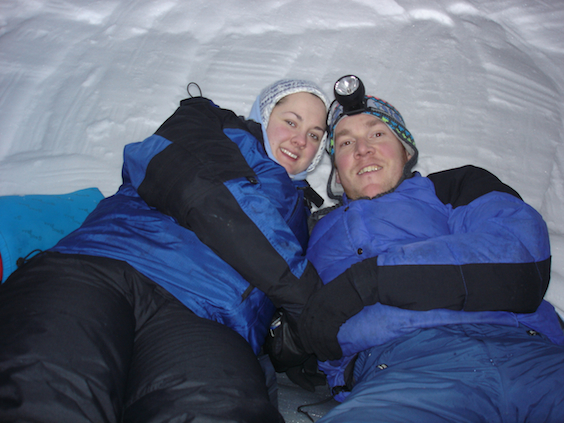 Whether you build your own igloo or sleep in a professionally built one, the space inside is small, intimate and it is up to you to warm up the temperature and sharing a sleeping bag , skin to skin is the best way to do that! If you would like to combine a few of these and / or other activities, please get in touch and we can tailor make you the perfect romantic winter activity holiday.